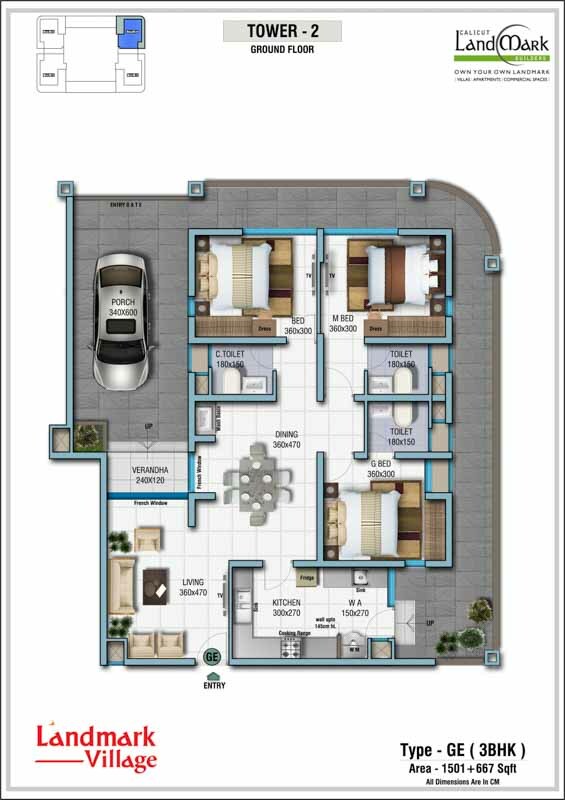 Landmark Village; the premium lifestyle township strategically located in Calicut offers you an ideal home which will impress you with its smart design, brilliant architecture and elegant decors. 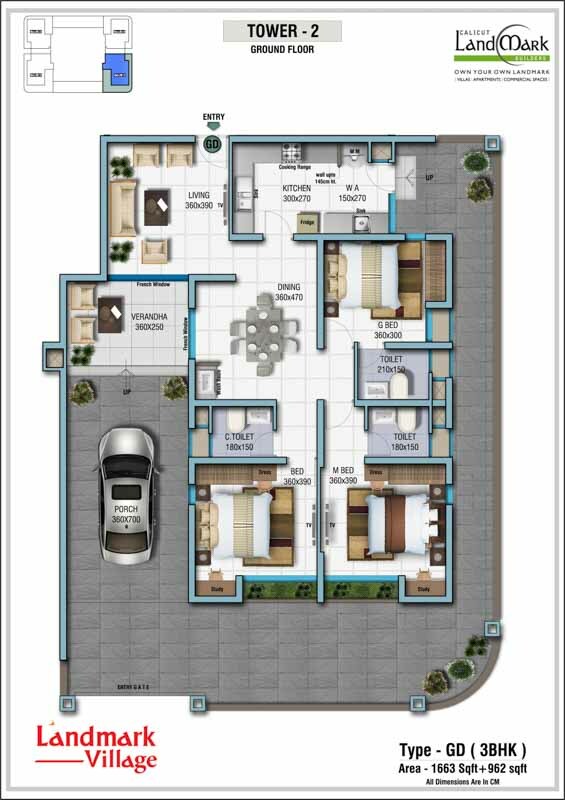 Set over 20 acres of lush green landscaped land, this integrated luxury township offers apartments and flats, each meticulously planned and crafted to provide residents with the sophisticated designed interiors and facilities befitting of a cosmopolitan urban lifestyle. 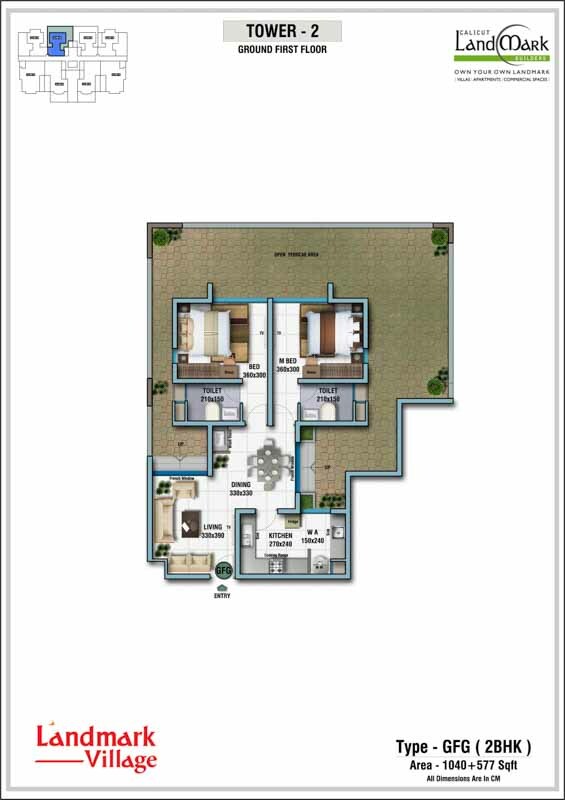 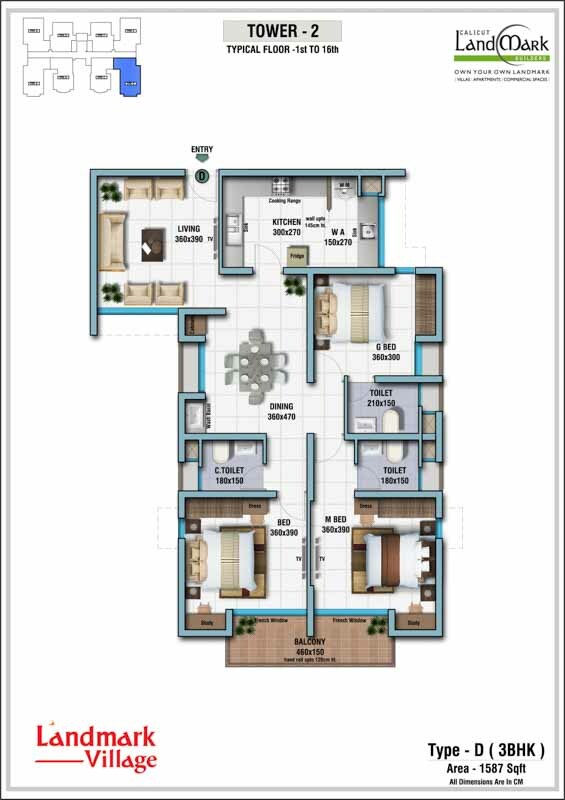 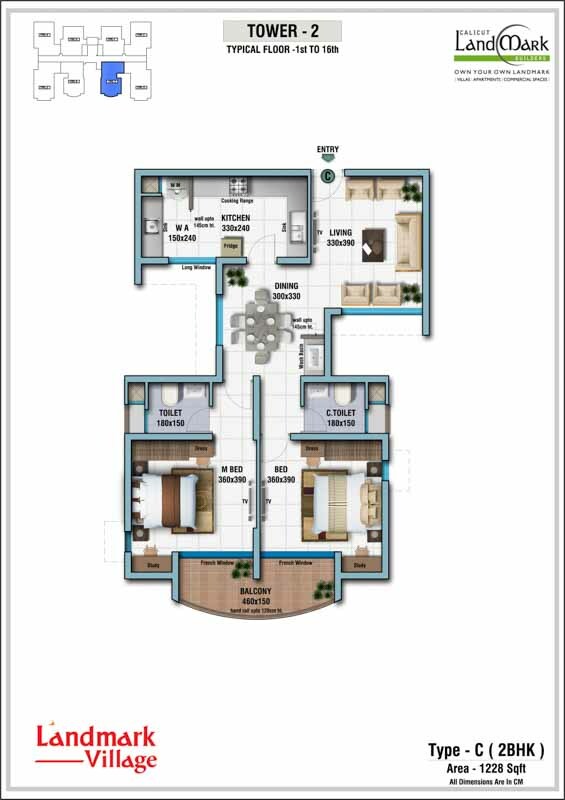 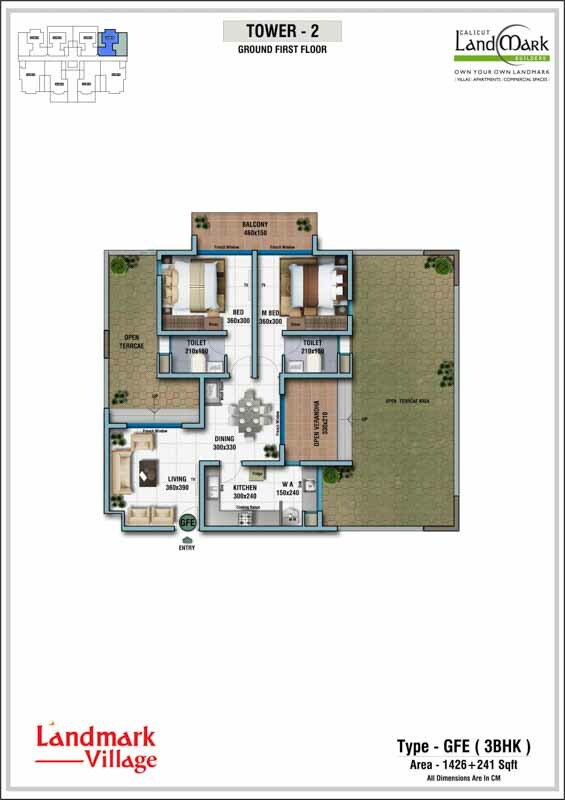 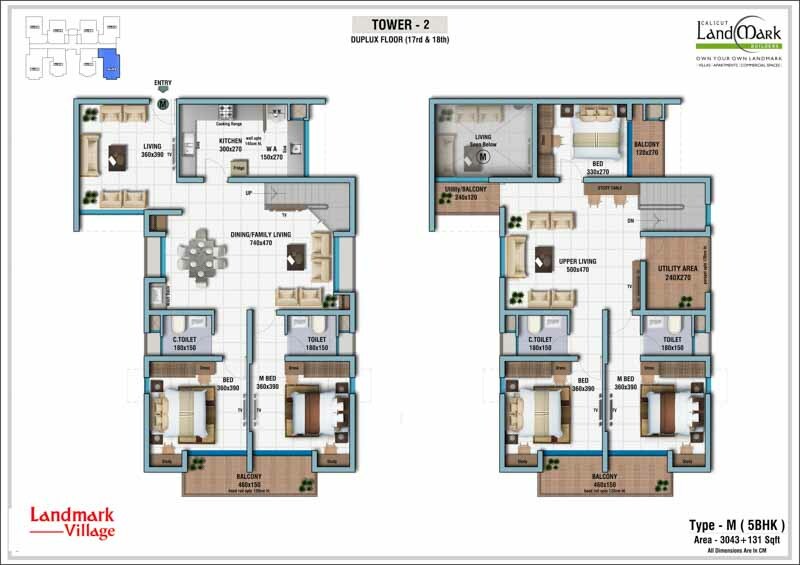 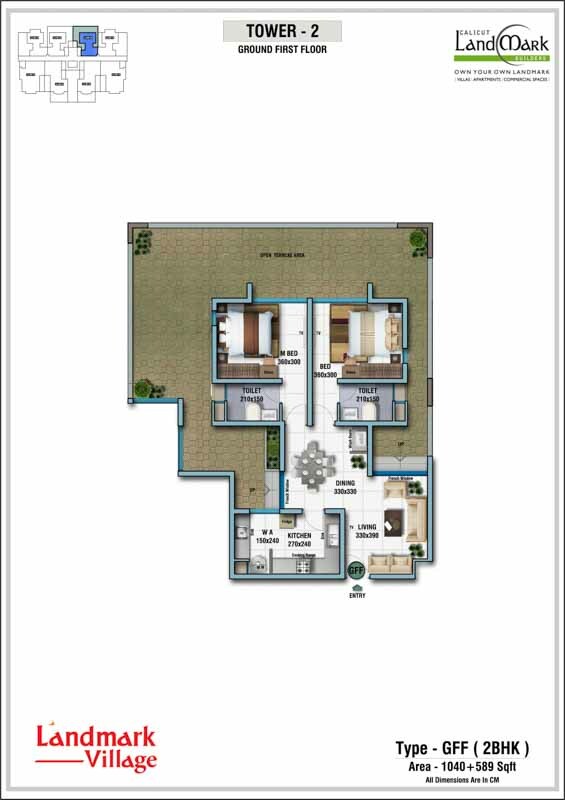 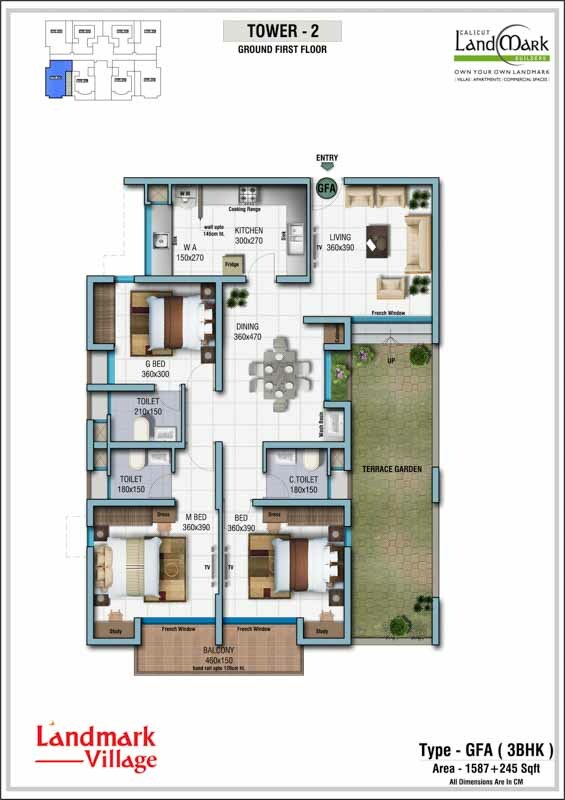 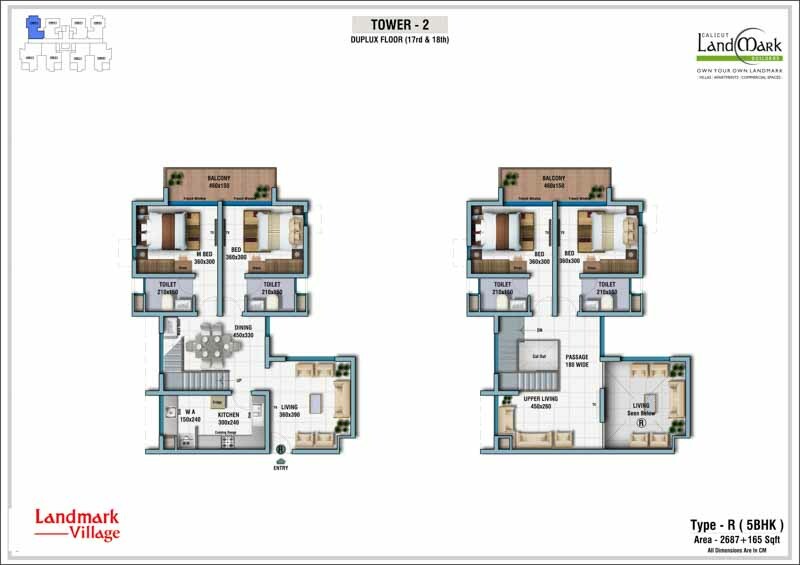 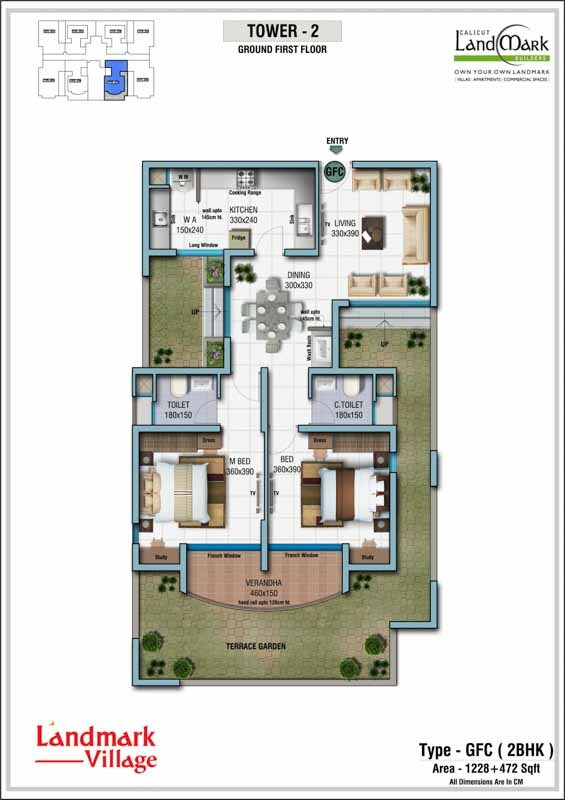 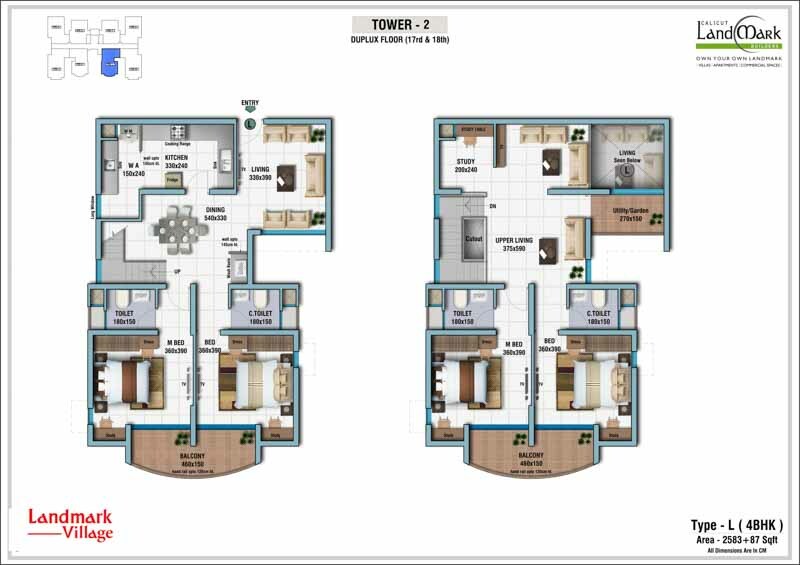 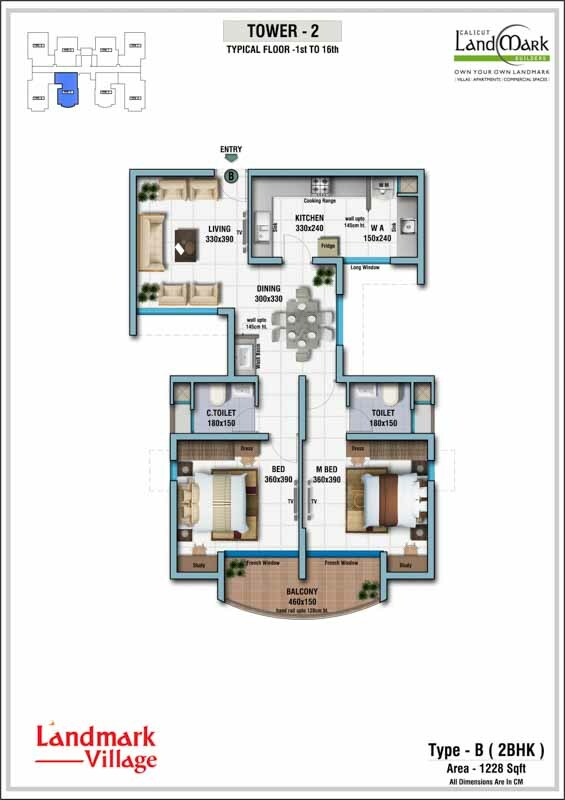 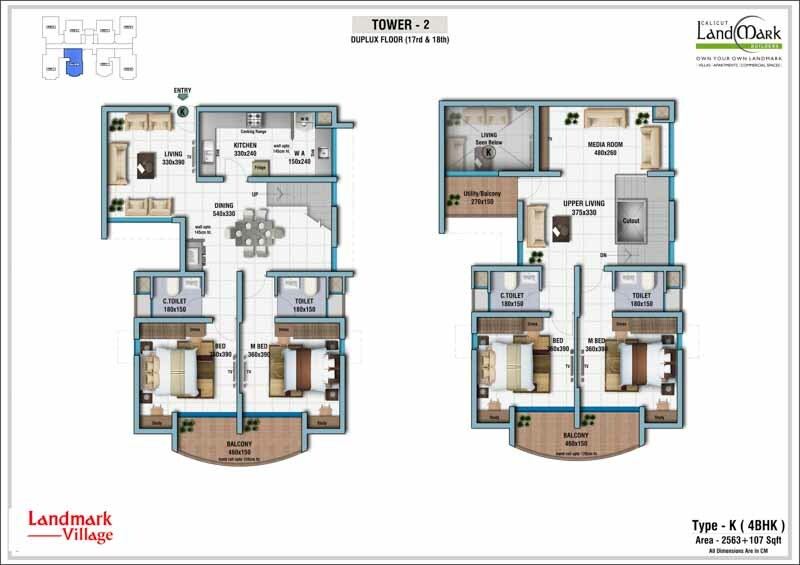 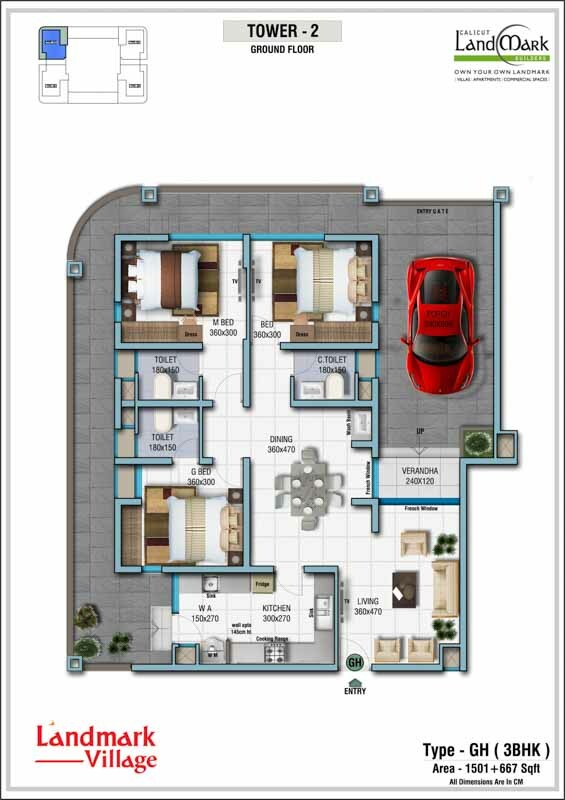 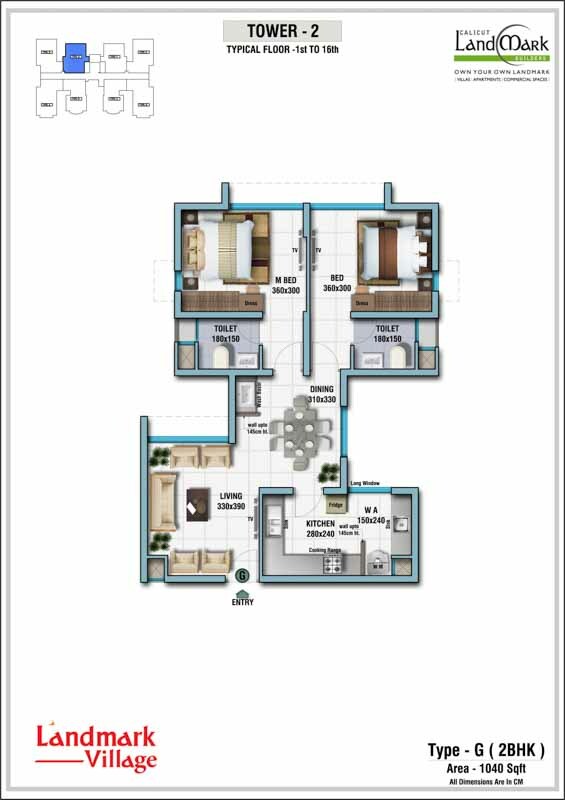 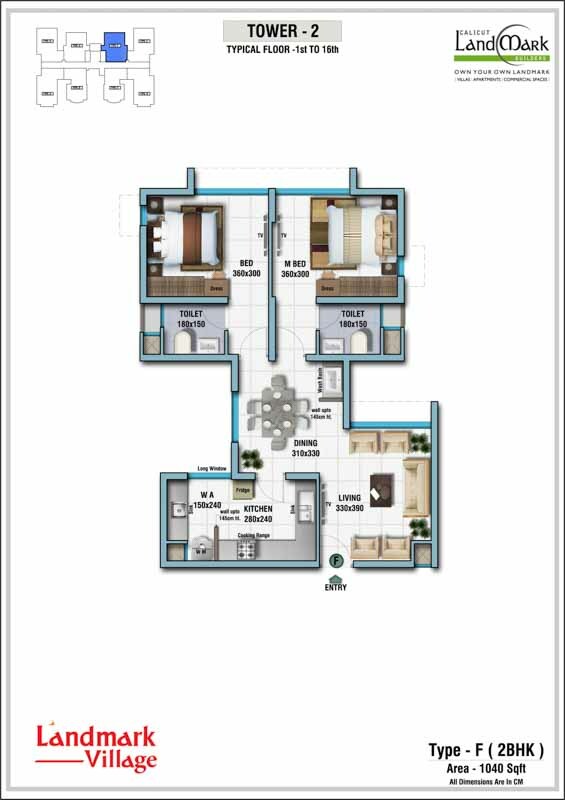 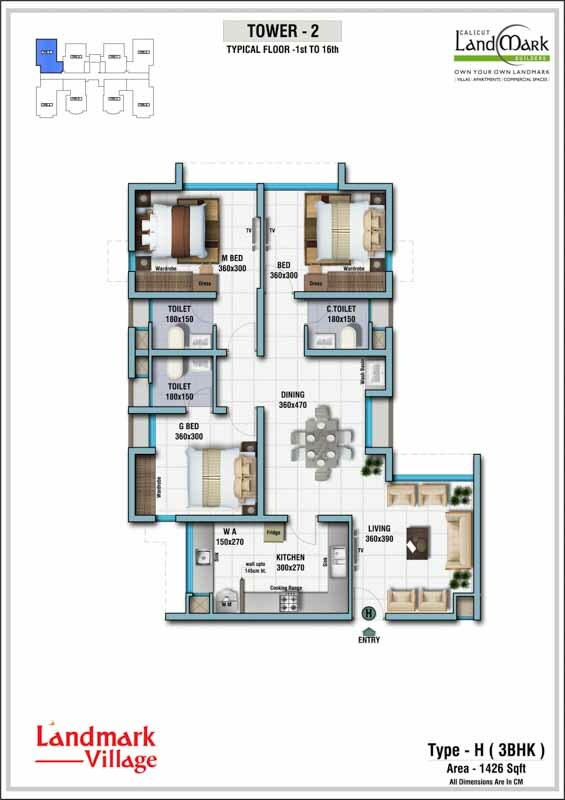 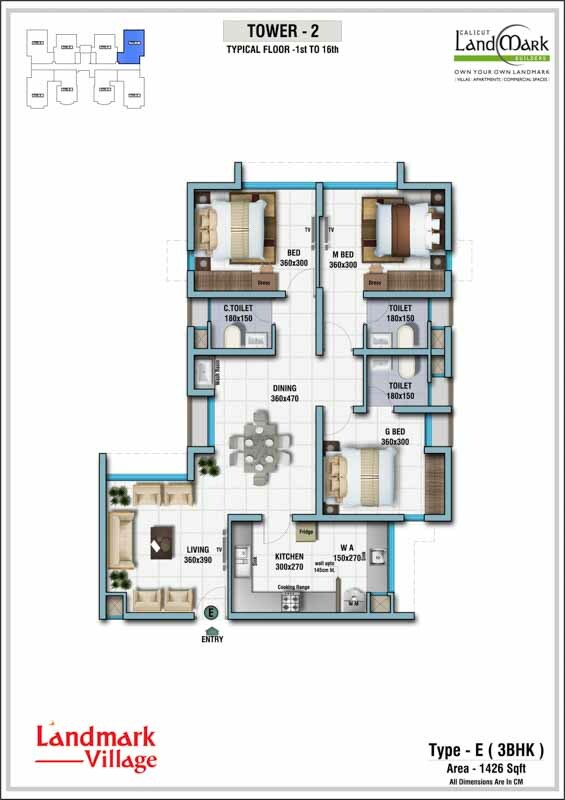 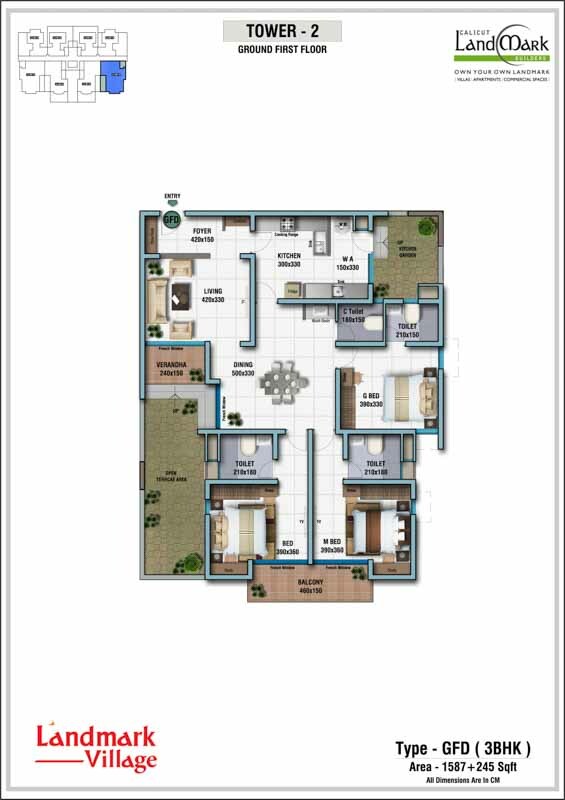 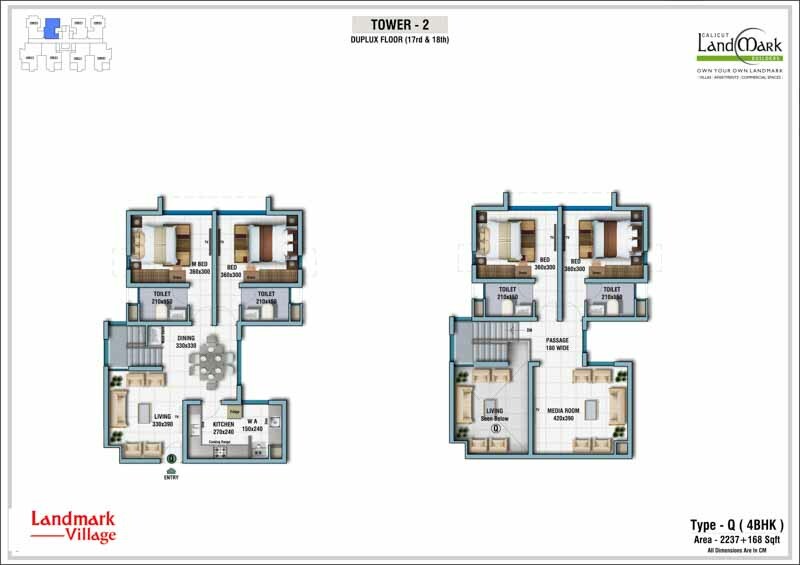 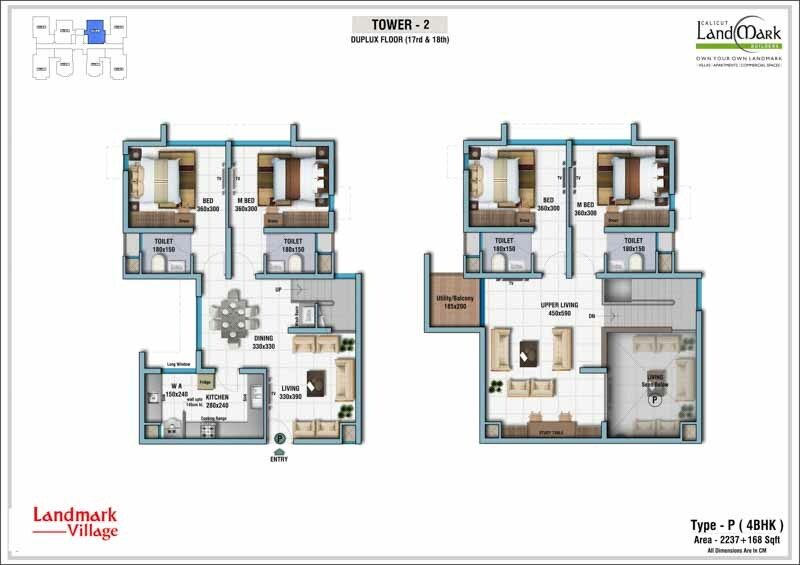 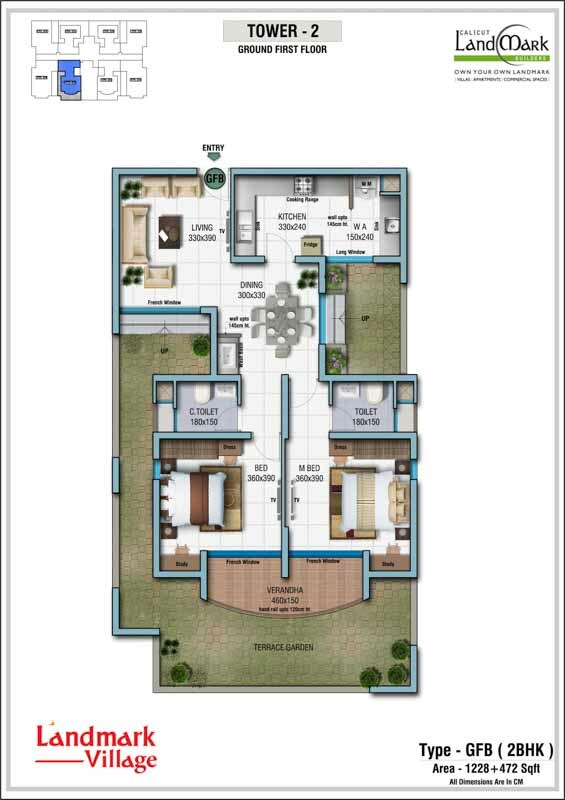 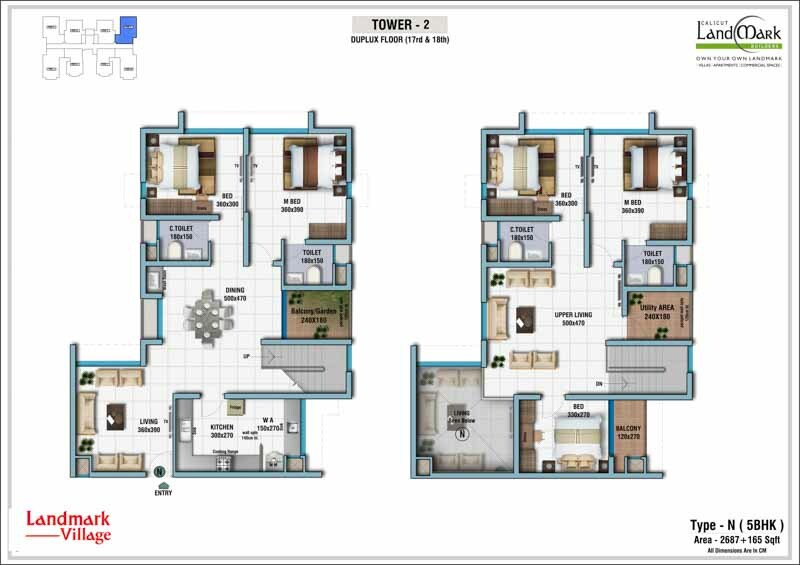 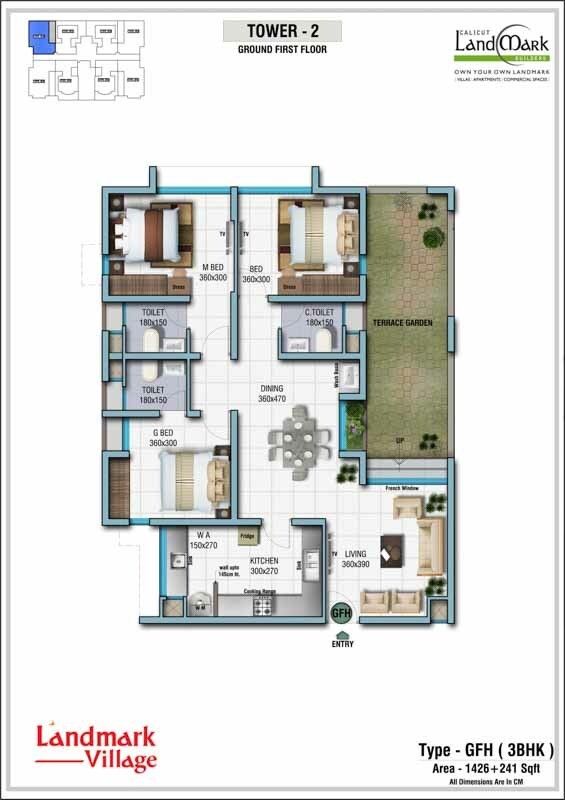 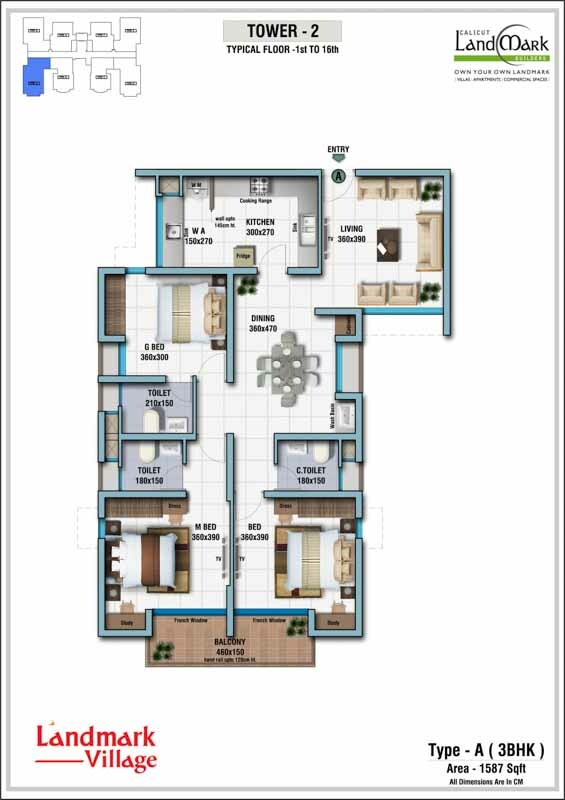 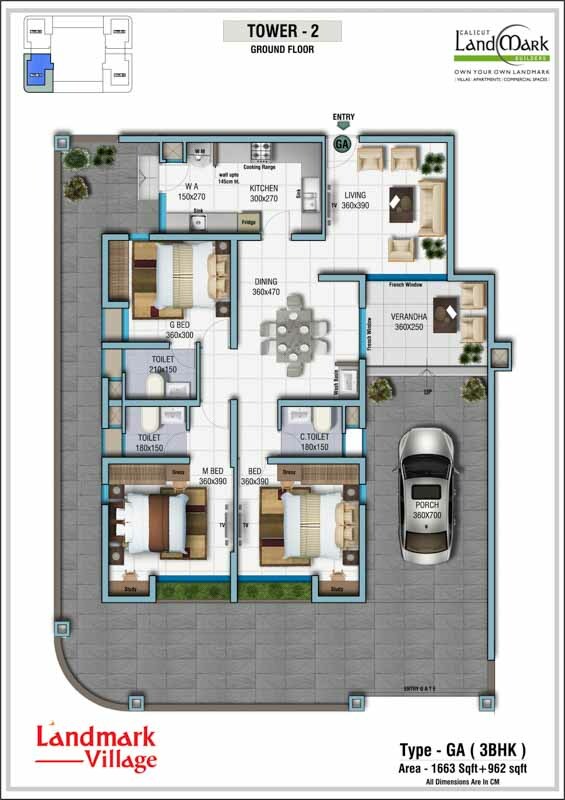 Tower 2 of Landmark Village provide well ventilated spacious living spaces comprising of 2 BHK to 5 BHK flats, sky villas and duplexes that are shaped by blending nature with architecture. 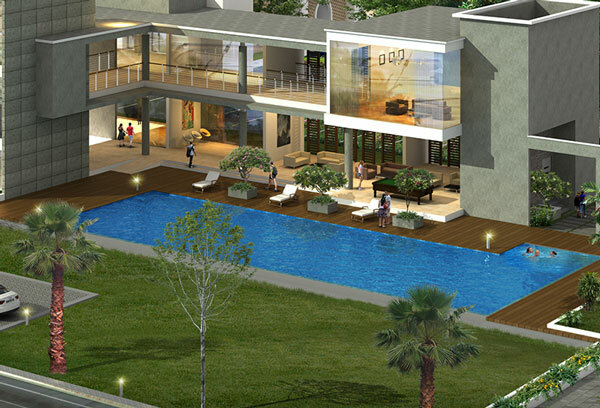 Each apartment at the village combines the essence of contemporary urban living with the serene ambience of scenic mountain views. 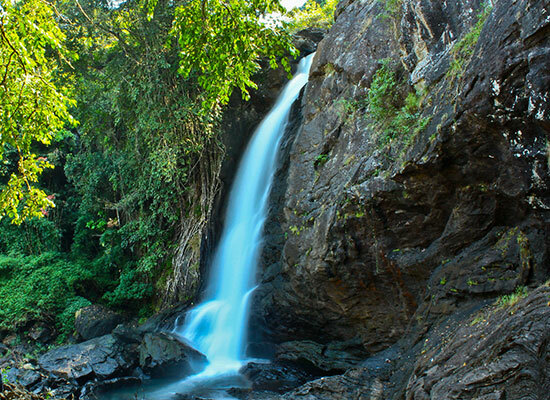 Prominently nestled in the urban corridors of Calicut – Wayanad NH212 at Kaithapoyil, just 40 km away from Calicut, Landmark Village offers residents spectacular views of the hill stations and green mountains of Wayanad and Calicut. 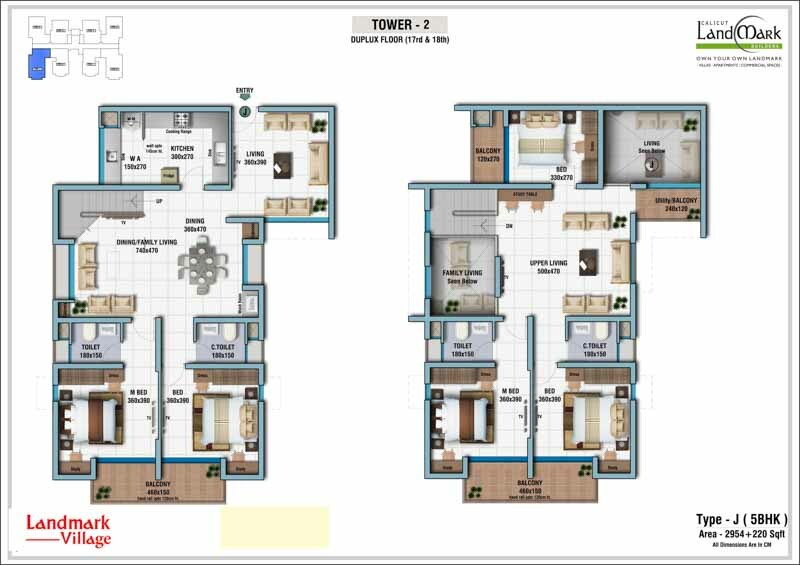 Access to the essential utilities of the life and the unlimited connectivity makes life at this flats, and apartments hassle-free and comfortable for the residents while providing greater mobility. 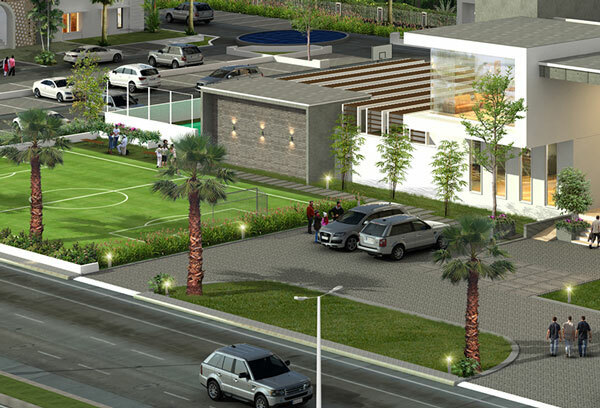 With its proximity to Markaz Knowledge city, there is provision for quality social infrastructure in the form of educational institutions, hospitals and commercial spaces. 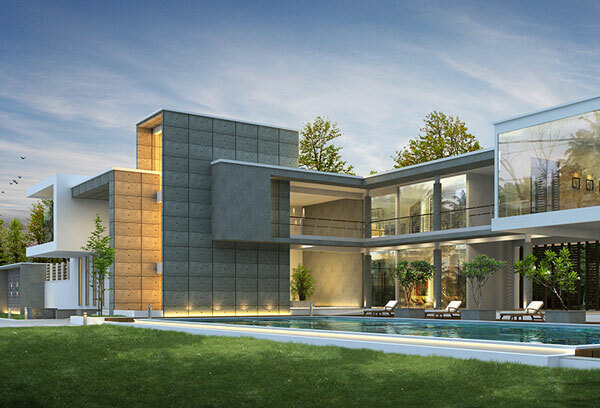 Landmark Village is designed artfully to meet the contemporary taste while being situated in the lap of nature. 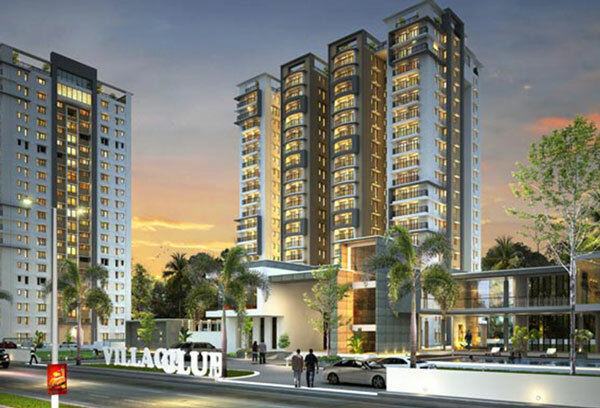 Surrounded by splendid views and excellent amenities, celebrate life at the biggest township of Calicut which also adds value to your investment.